There are many things that can have an impact on your sleep. For instance, if your room is too cold or too hot, you might be unable to sleep quickly. More so, if you think a lot, you can be filled with worries and this can affect your sleep. Health problems, such as insomnia, have also been proven to be instrumental in your sleep. Another thing that will prove to be critical would be your sleeping position. Generally speaking, there are three sleeping positions: stomach, back, and side. Each of these sleeping position have their respective pros and cons. Among the three, however, the most popular is probably the side sleeping position. For side sleepers, they commonly sleep in a fetal position. This is good because it can avoid strain on your back. It promotes the natural curvature of the spine. 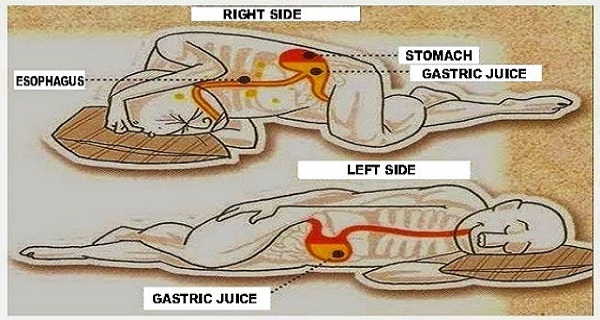 To know more about side sleeping, keep on reading. We will also provide you with some useful insights that can help to improve your sleep quality. As it has been mentioned above, one of the best things about sleeping on the side is that it minimizes pressure that is applied on your back. Nonetheless, there are also negative effects that should be a concern for side sleepers. One of the most common would be stiff neck. Side sleepers commonly wake up with pain in their neck, which is basically because of the gap that exists between the head and the mattress. Also, since the strain is on the side of the body, it is also common to have numb arm and hand, specifically on the side where you slept. Choose the Right Material: This is perhaps the most important thing when it comes to the selection of pillows, regardless of your sleeping position. One of the best materials is memory foam. The latter is beneficial because of its contoured shape, which can be personalized based on the pressure that is applied by the user. Feather is also an excellent material for pillows that are good for side sleepers. Just make sure that the volume is right so that it won’t be too soft or too firm. If you want a firmer and natural alternative, pillows filled with buckwheat can be chosen. Choose the Right Size: It is also good if you can find a pillow that has generous size, which can provide the support that is needed by the whole body. If it is too small, support will only be limited to the specific parts and others will have the tendency to be painful when you wake up in the morning. Choose Special Shapes: This is important for specific conditions of side sleepers. For instance, if you are pregnant, choose a pillow with shape that can support your belly, even if you sleep on your side. You can also choose pillows that are especially designed to be supportive on the neck, head, and hips, among other problem areas for side sleepers. Pick the Right Mattress: Just like in the case of pillows, your choice of mattress will be critical if you sleep on your side. Memory foam can prove to be an exceptional material. It is not only comfortable, but it can provide the support that you need on your side. The best thing about memory foam as that it conforms to the shape of your body. Find a Neutral Position: Sleeping on your side is not enough. You need to have your body positioned in the right way. One of the things that you should do is to make sure that the head is placed in between your shoulders. Never have it bent towards or away from the pillow. You should also refrain from having your body twisted. Look for Ways to be Relaxed: Relaxation is a precursor of a good sleep. If you are more relaxed, regardless of your sleeping position, you will have a deep sleep and you will wake up being energized. Before you sleep, try meditation or listening to relaxing music. Aromatherapy can also be helpful. Sleep with good thoughts and avoid your worries. In sum, side sleeping has its respective pros and cons. 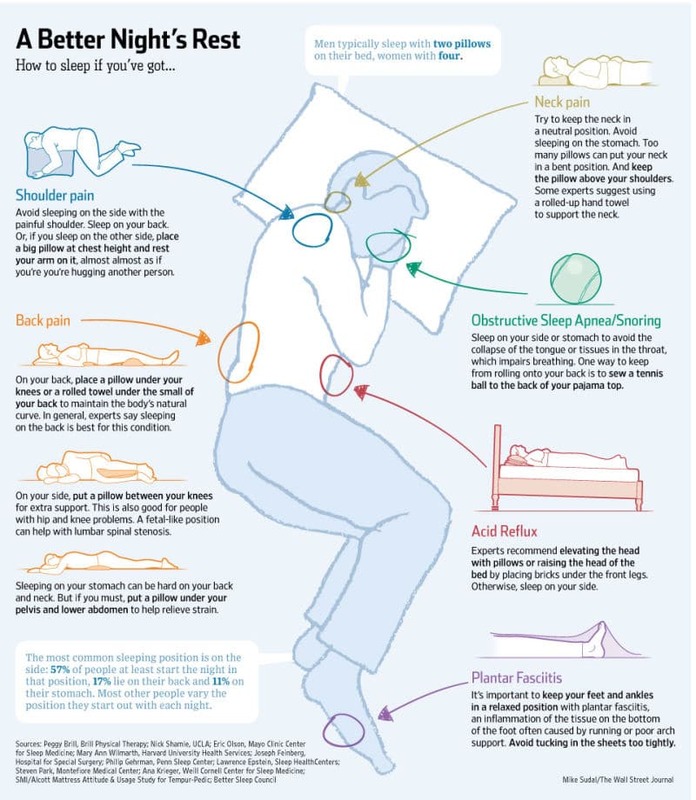 To avoid problems and to sleep better, follow the tips that we have earlier mentioned. By keeping these things in mind, you will wake up to a good morning and without a painful body.